Alma Adams is a congresswoman from North Carolina first elected in 2014. Despite being a new member of the House of Representatives, she has joined numerous committees, including the Joint Economic Committee, the Committee on Education and the Workforce, and the Congressional Black Caucus. Congresswoman Linda Sanchez joins Hillary Clinton’s #nastywomensquad. PHOTO VIA WIKIMEDIA COMMONS. Tammy Duckworth is a congresswoman from Illinois. As an Iraq War veteran, Duckworth has been relentless in increasing federal support for veterans. She has also focused on weeding out congressional corruption and clamping down on spending by co-sponsoring legislation like the No Budget, No Pay Act, which would ensure that taxpayers don’t have to pay the salaries of Congress when it fails to do its job and lets the federal government shut down. Duckworth is currently running for a seat in the Illinois Senate, a race that she should handily win. Mazie Hirono is a senator from Hawaii. Hirono is the first Asian-American woman to be elected to the U.S. Senate. She has served on the Committee on Veterans’ Affairs, Committee on Armed Services and Committee on Energy and Natural Resources. Kirsten Gillbrand is a senator from New York. She inherited the same fighting spirit Secretary Clinton had when she held the same position before. She has also made a mark on American policy in the past six years. She worked to repeal “Don’t Ask, Don’t Tell,” authored part of the STOCK Act and has recently pushed for legislation concerning sexual assault in the military and on college campuses. At only 49 years old, Gillibrand is definitely going places in American government. Patty Murray is a senator from Washington state. She is also the highest-ranking woman in the Senate. She has always been ahead of her time: she voted against the Iraq War in 2002. During her tenure, she fought for reproductive rights for women and environmental regulation. Not afraid to reach across the aisle, she and Congressman and Speaker of the House Paul Ryan put together the Bipartisan Budget Act of 2013. Tammy Baldwin is a senator from Wisconsin. She is the first openly gay person to serve in the U.S. Senate. She serves on multiple committees, including the Committee on the Budget and the Homeland Security committee. Linda Sanchez is a congresswoman from California. 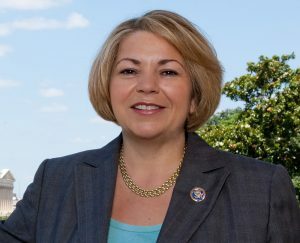 She currently is a ranking member of the Ethics Committee, has introduced legislation on cyberbullying and called out the controversial 2010 Arizona SB 1070 that essentially legalized racial profiling, calling it the result of white supremacy.